At this event, we will host Vice President of the European Commission Jyrki Katainen and the President of Nea Demokratia and Opposition Leader in Greece, Kyriakos Mitsotakis who will have an interactive discussion on how to reinvent the EU and the eurozone. 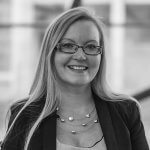 Europe is at a crossroad and the debate over how the EU and its Member States should make the project relevant to citizens is taking central stage. In this event, we will discuss this with the Vice President of the European Commission, Jyrki Katainen and the President of Nea Demokratia and Opposition Leader in Greece, Kyriakos Mitsotakis, who will share their views on what must be done to renew and reinvent the EU and the eurozone, as well as what it will take to achieve meaningful reform on the continent. Future of Greece in the EU – not longer the ‘poster-boy’ of problems? 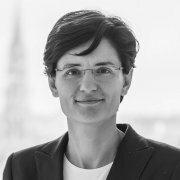 Maria Demertzis, Bruegel’s Deputy Director, opened the discussion asking how the economic division in European can be overcome. Kyriakos Mitsotakis, President of Nea Demokratia and Opposition Leader in Greece, emphasized that Greece has to leave the role of the Eurozone’s ‘poster-boy’ of problems but go ahead with own ideas and initiatives. Despite stark reforms in Greece and a loss of sovereignty, the Greek population has always remained supportive of the EU and the Euro. Now it is time to tackle the remaining structural problems within Greece and push for a more ambitious European agenda that includes risk sharing via the Banking Union and protection of asymmetric shocks via a European Monetary Fund (EMF). 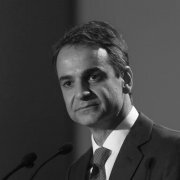 Mitsotakis claimed that it is economically not sensible to run very high primary surpluses while cutting spending on investment. In the end, a ‘grand bargain’ has to be negotiated in which Greece has to proof its trustworthiness and creditors have to release some of their strictness. Beyond the topics of Eurozone governance, Mitsotakis would like to strengthen the EU’s competitiveness and wants to support a more ambitious EU agenda in the fields of external boarder control, defense, digitalization, and energy. Within this agenda, Mitsotakis perceives Greece as a key driver but also demanded assistance from the European Union, especially regarding its external borders. Jyrki Katainen, Vice President of the European Commission, agreed that the EMU has indeed to be reformed and that the Banking Union must be completed. However, he pointed out that risk sharing has to go always along risk reduction. Future of Europe – trust is needed! Jyrki Katainen pointed out that economic division between Member States is right now less pronounced than it was a couple of years ago. Currently, he sees a good opportunity to push for an ambitious EU-agenda which could help to overcome the negative feelings (austerity, bail-outs, etc.) that some citizens associate currently with the EU. However, this agenda requires strong political leadership as well as trust between the Member States. Regarding the social agenda of the EU, Jyrki Katainen expressed his support but was worried about ambitious promises triggering false expectations. The current treaties foresee a very limited role of Europe regarding social issues, but a future treaty change might change that, which Katainen expects to happen at some time down the road. On the field of immigration, Kyriakos Mitsotakis pointed out that further ‘burden sharing’ is needed. The current status is unsustainable, in which certain Member States refuse to take any refugees. Therefore, he supports to make EU funds conditional on certain requirements. Jyrki Katainen agreed and added that European funds should be coupled to the compliance with fundamental European values. At the end of the talk, both guests were asked to name the currently biggest risks of the EU. 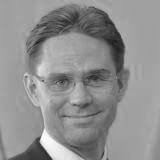 For Jyrki Katainen, it is the risk of a diminishing role of rule of law in Europe. He emphasized the non-negotiability of this fundamental value for liberal European democracies and argued that European fundamental values had been taken too long for granted and were pushed out of the discussion. Kyriakos Mitsotakis agreed and added that minority rights have to be protected at all times and are not debatable. He urges Europe to resist to autocratic ideas coming from the rest of the world which he sees as ‘outliers’. As another threat, Mitsotakis outlined the current technological change which has the power to transform Europe entirely. As millions of jobs in Europe are in danger, a common European answer is required to shape this change. Event notes by Alexender Roth, Research Assistant.